Every artist, no matter what the discipline or form of art, has times when artistic "drought" prevails. Pressures of daily life, illness, travel – there are many reasons which dictate that it is very hard to get down to creating work. I was thinking about this situation recently, because I seem to be more wedded to driving and logistics than creating work at present. Yet there is a quiet little voice at the back of my head that says that when life slows down a little, the drought period will allow floating ideas to rise to the surface again. I remember how Francisco Goya produced an amazing body of work during a long illness in Cadiz, around 1792-94. He was freed from the pressure of commissioned work, and perhaps too, his deafness during his illness made him a much keener observer of people for the portraits he executed. At any rate, as he recuperated, he experimented in his paintings, drawings and even the aquatint etchings which would become known, when published in 1799, as the Caprichos. His self-portrait, on the right, done in 1790-95, shows a self-scrutiny that is solemn and lonely. 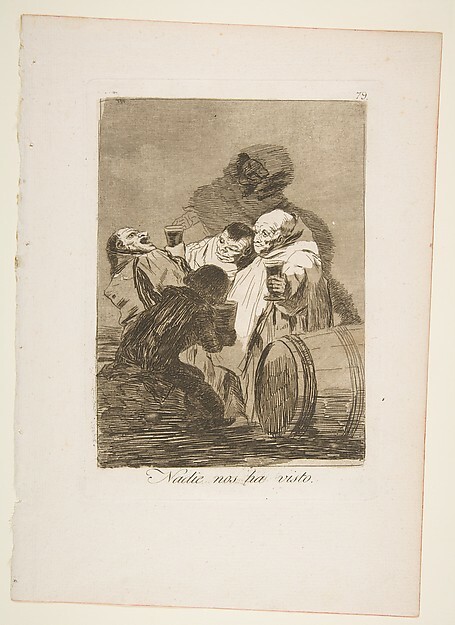 Other works from this period of crucial artistic development are very sobering, for Goya developed a much more critical and introspective eye, producing profoundly penetrating psychological and social commentaries on his world. The image below is no. 79 of the Caprichos, entitled Nadie nos ha visto (No one has seen us). 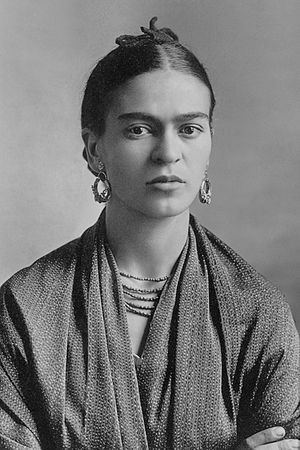 Frida Kahlo is another artist who famously suffered periods of illness and difficulty, but she learned to use these times as springboards for her work. So as one goes along in life, trying to get through periods when art seems from another world, how does one keep in touch with that small inner voice? I find, personally, that in order to keep at bay the gnawing feeling of emptiness that I experience when I cannot get to drawing, let alone painting, I need to keep thinking about art projects. Whenever I have a moment of quiet, I try to summon an idea that I might have had, and I try to explore it in my mind's eye. The imagination is a far more adaptable "computer" screen than a real screen. No need for any image programme as you mentally try out a composition, move it around, add elements, change colours, explore ways to do something. Then I will leave the image alone, and move on with life. But later, I will come back to the image and try further to refine the whole concept and composition. Eventually, my "drought" period will end, and then I know that I have something that at least can start me back into the process of being an artist creating something. It is a form of bridge, but very helpful, I find. Interestingly when this situation has happened in the past, and yes, it can happen quite often – that's life! – I later can look at the work I created, and know exactly what was happening in my life at that time. The work is a form of self-portrait, a moment in time, and it brings back vividly the emotions and thoughts of that period. In essence, these works of art that allow one back into the normal rhythm of being an artist can be the eloquent equivalent of entries in a private journal or memoir.